C- Participated in trial judging program at Nationals. Will you be competing at the 2019 National Championships? Will you be coaching at the 2019 National Championships? Do you expect to have students qualify to the 2019 National Championships? 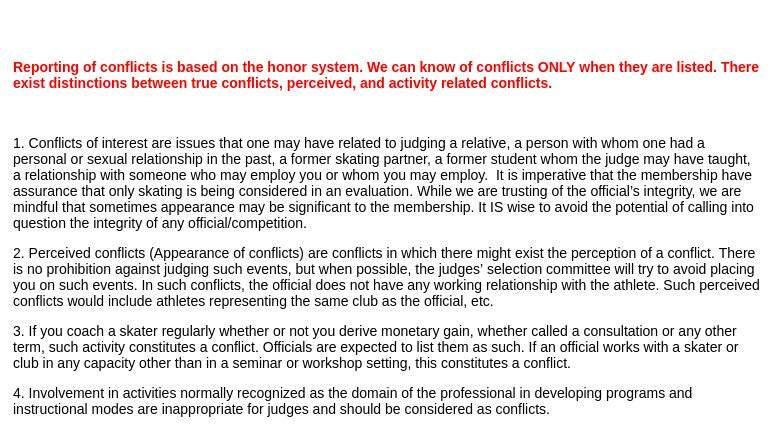 Is there a particular discipline of skating that you would prefer to judge? Is there a particular discipline of skating that you would prefer not to judge?